Merlin Works Improv students – Some of our improv superstars show off the skills they’ve learned so far to perform improv games based on audience suggestions! Merlin Works Improv Singing 301 graduation — Our Singing 301 students perform a musical made up on the spot influenced by audience suggestion! The Known Wizards – The Merlin Works instructor troupe perform fantastic stories all made up on the spot based on audience input! 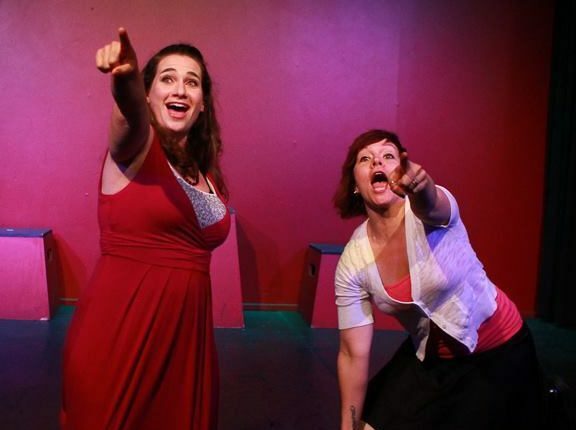 back to main Second Sunday Improv Singing 601 Graduation Showcase feat. Better Than Dignity$25 off Winter 2019 Improv Classes! Earlybird Discount expires Dec. 30th!